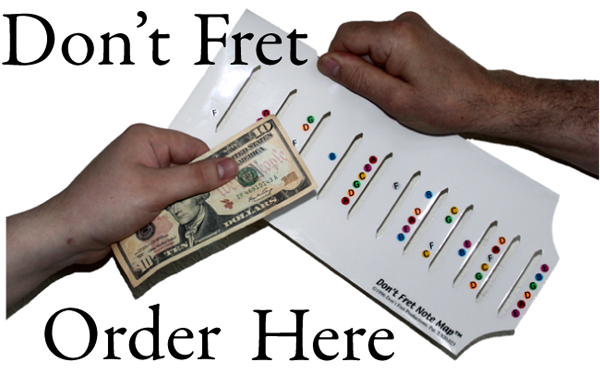 ﻿ Learn how to play guitar with Don't Fret Productions guitar neck and fretboard maps. The printer made a mistake! Our loss is your gain. We have slightly blemished Note Maps that we are offering to our customers for over half off. Now you can get a Note Map for just $4.49 (plus shipping)! The Note Maps have a small amount of ink on them from the printing process. None of the ink affects any of the note indicators. Click here to see. 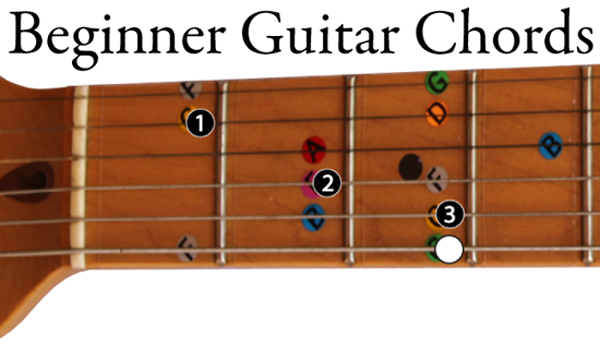 This clear cling vinyl Note Map puts a chart of guitar notes right on your guitar fretboard. Don't Fret makes it easy to find guitar notes and guitar chords, learn the music staff, and learn about guitar. Click a thumbnail to select it or click a large image to go to the page. By far the fastest and easiest way to learn the fretboard locations of natural guitar notes, sharps, flats, guitar chords and guitar scales on your guitar. 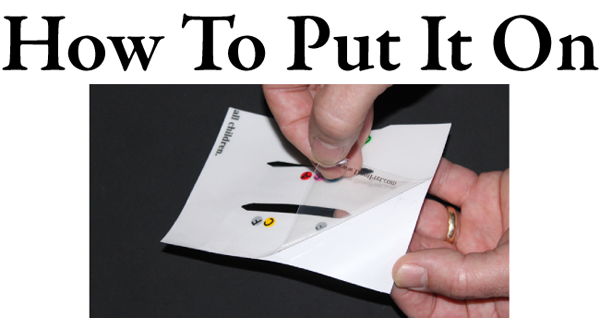 This amazing guitar learning aid uses no adhesives. It forms a smooth vinyl "skin" on the surface of your fretboard and clings to itself on the back of the guitar neck. The color coded guitar notes and easy beginner guitar sheet music help students learn note locations on both the guitar fretboard and music staff simultaneously. It's easy to put on your guitar and fun to use. Learn major and minor guitar scales with our easy to understand color coded diagrams. You can Put it On and Play™ guitar songs with our free guitar sheet music. 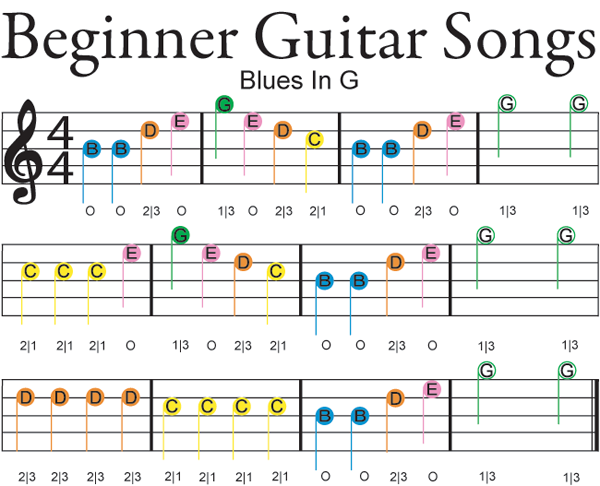 Try our Guitar Chord Generator to learn beginner guitar chord songs.